In a world that’s quickly being taken over by machinery, robots and massive factories, Urban Nature Culture likes to take a left turn on the fast lane and bring an ode to productions techniques of the past – still very much alive these days. Craftsmanship, passed on from generation to generation, is what we love. Fighting to keep them alive, we would like to make you aware of one the fine arts that has inspired our collections: Indian block prints. 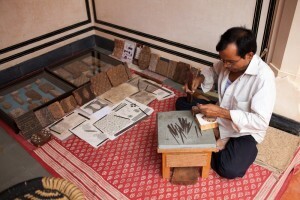 Block printing is a technique that’s done all across India, from Gujarat and Punjab to West Bengal, Rajasthan and Andhra Pradesh. 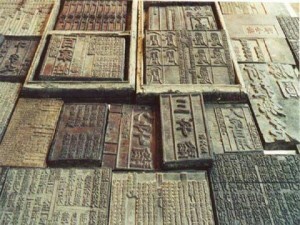 Each area has its own characteristics and practice in this hand printing craft. From geometric with natural colors – red from madder root, black from iron solution and blue from indigo – in Gujarat, to colorful animal prints in Rajasthan. While some areas are known to use bold and vibrant patterns, others focus on temples, gods and goddesses. 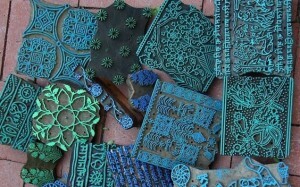 Bed covers, curtains, garments, cushions, anything can be made into a product of block printing. 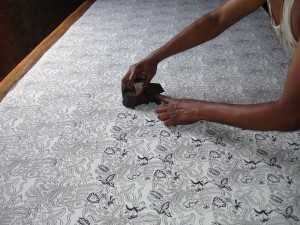 It’s one of the earliest but also slowest of all textile printing methods, having to be done completely by hand. However, you won’t find a more unique and beautiful product – a highly artistic result that is unobtainable with any other method. 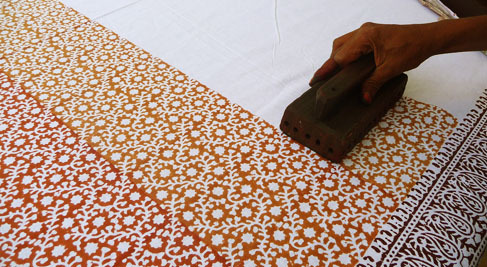 Since the printing of patterns on textiles has been done for centuries, and is so closely related to painting, it’s nearly impossible to determine when the block printing technique was discovered. Ancient civilizations in areas like East-Indies, China, Egypt and Assyria have used blocks of stone, wood and any other natural source to cut or carve out and use as a ‘stamp’ to paint textile for ages. In the golden age, Dutch merchants bought these goods for international trades, and introduced their country to its impressive form of art. In the 19th century, when factories and machinery became the standard, most of these hand-made items became rare. 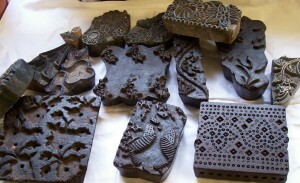 But not in India, where the block printing technique still stands strong today – being one of the largest manufacturers and exporters of block printed fabric in the world. So how does it work? It may be a very simple idea – you create a big stamp and use it to repeat a pattern by painting on textile, but really…it’s much more than that. 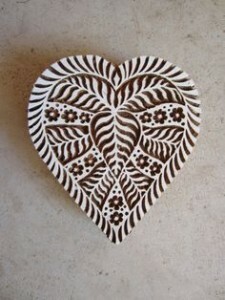 Craftsmen use wooden or metal blocks to create beautiful designs – mind-blowing to say the least. It takes years of practice to perfect the carving of the block, as well as a steady hand and determined mind doing the painting itself. 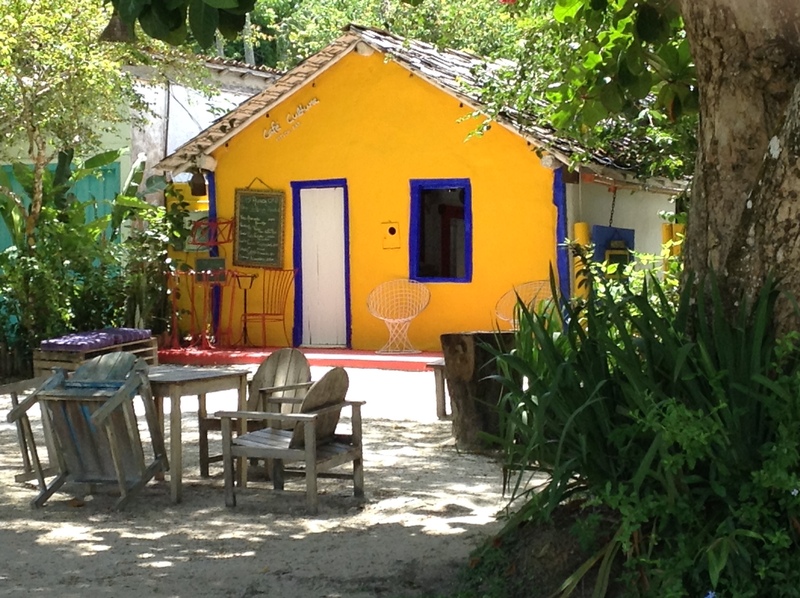 First, the fabric that’s to be printed is washed free of starch and dried in the sun. After it’s dried, it’s stretched over the printing table, secured with pins. Then the blocks come in. These are often made of teak wood and hand-carved, a process that can take days – though a skilled craftsman will surely do it in a matter of hours. These blocks, once finished, are soaked in oil for 10-15 days to soften the timber. Once it’s ready to use, it’s time to get the paint ready. Colors are mixed separately and kept in a tray, making sure it’s evened out on the block. The block is then press down hard on the fabric, with 2 or 3 knocks – a soothing sound that’s heard all across block printing factories. If a second, third or even fourth filling of color is needed – to add details – another block with different coloring is used – pressed exactly where needed onto the fabric. 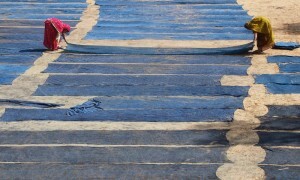 Once the design is done, the fabric is dried in the sun, steamed, washed in water and dried in the sun again. Ironing is the last stage of this time-consuming but oh-so-beautiful technique. When Anne-Marie travels to India, she’s always impressed by the inspiring beauty that can be found in this country – so you can be sure there’s lots more to tell. 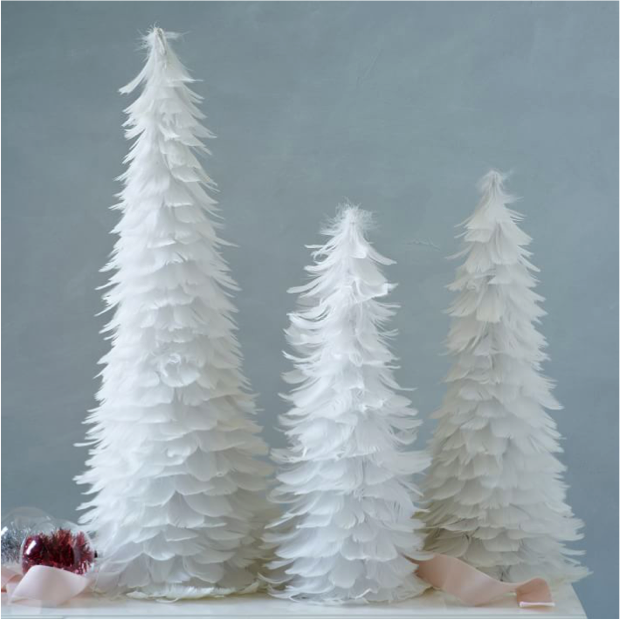 For now, we hope you enjoyed getting to know a bit more about this fascinating and refined technique – we adore it.